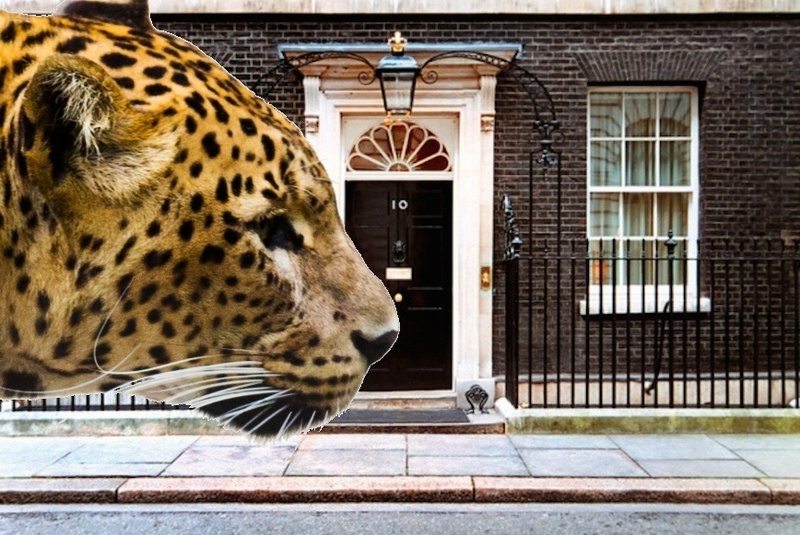 Larry the cat may be Downing Street's most famous feline at present, but there was a time when a leopard arrived at Number 10 in an estate car, on the request of the prime minister. The car was driven by Oliver Graham-Jones, then vet-in-residence at London Zoo. The prime minister was Winston Churchill. The year, 1955. Churchill's love of animals was well known, particularly his love of his poodle, Rufus. Yet Rufus narrowly avoided becoming a leopard's lunch during this particular incident. 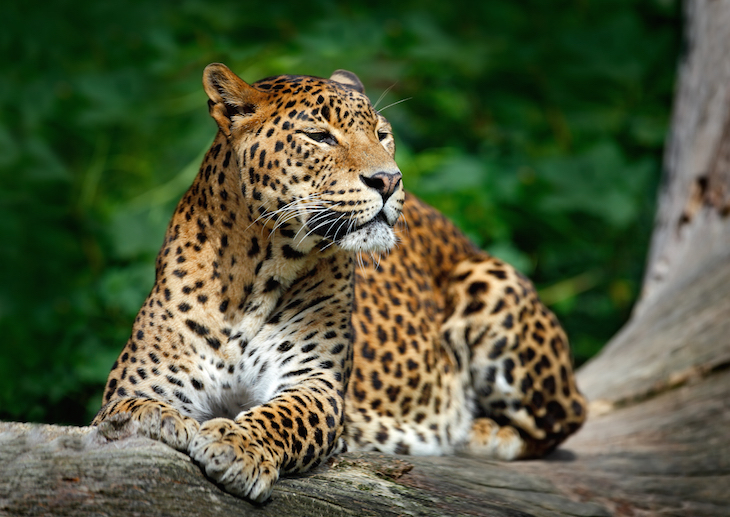 The leopard — called Sheba— arrived in London at Heathrow, the pet of the president of a Middle Eastern airline company. Her arrival at Heathrow caused a bit of a stir. As the animal hadn't been quarantined, Heathrow officials wouldn't allow her to step off of the aeroplane onto the tarmac. Not willing to enter the country without his pet, the important visitor thought quickly, telling the officials that the leopard was a gift for Churchill. That changed things, and the leopard was rapidly disembarked from the plane and whisked off to quarantine, while Graham-Jones was summoned. He was instructed to take the leopard to Downing Street en route back to the zoo, as Churchill had personally requested to see his new acquisition. On arriving at Downing Street, Graham-Jones was quizzed by the duty policeman as to what was in the box he was carrying. "Officer, I have brought a leopard to see the prime minister," was his response. Vet and leopard were shown into the Cabinet Room for a private audience with Churchill, where Churchill requested that the leopard be removed from the crate and put on the table. 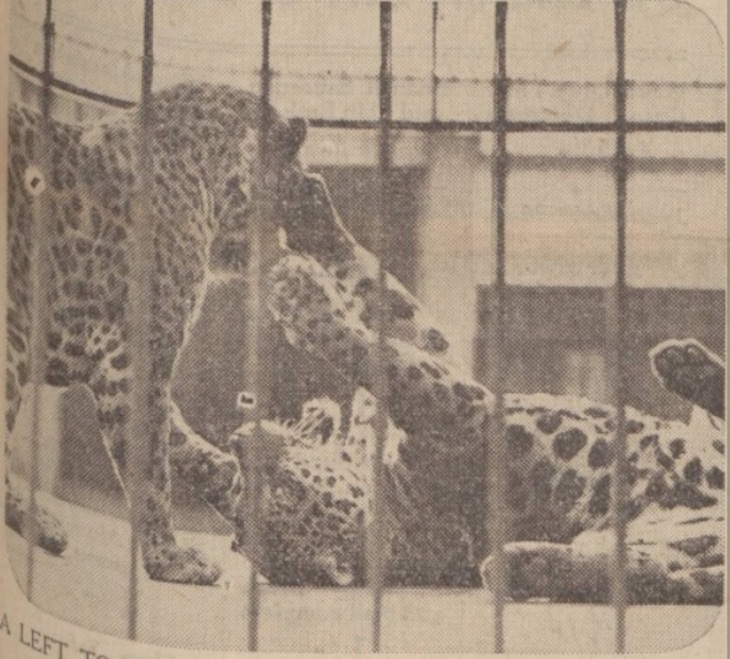 Graham-Jones explained that quarantine rules meant the leopard couldn't be removed from the crate, but Churchill was having none of it, so Sheba found herself on the table in Downing Street's Cabinet Room. When the prime minister summons you, you go. Fortunately, the vet was able to deflect Churchill's next request — that his beloved Sheba be brought in to meet the leopard — or things may have got messy. Hat tip to the following book for putting us onto this story, about which we have found little information elsewhere: Zoo Tails by Oliver Graham-Jones. Graham-Jones was the first official vet in residence at London Zoo, working there from 1951-1966. The book contains many enchanting anecdotes of his work with the animals at a time when veterinary medicine was a lot more basic than it is today.